Join us for our annual Christmas class on Friday 15th December as our teachers come together to bring you a festive flow to end the year! Our very special guest Jerome DF will help move our bodies with super cool sounds as you flow with our awesome yoga community! A little about Jerome - He is a Swiss-French yogi and music producer and The Yoga Ensemble beat-maker. 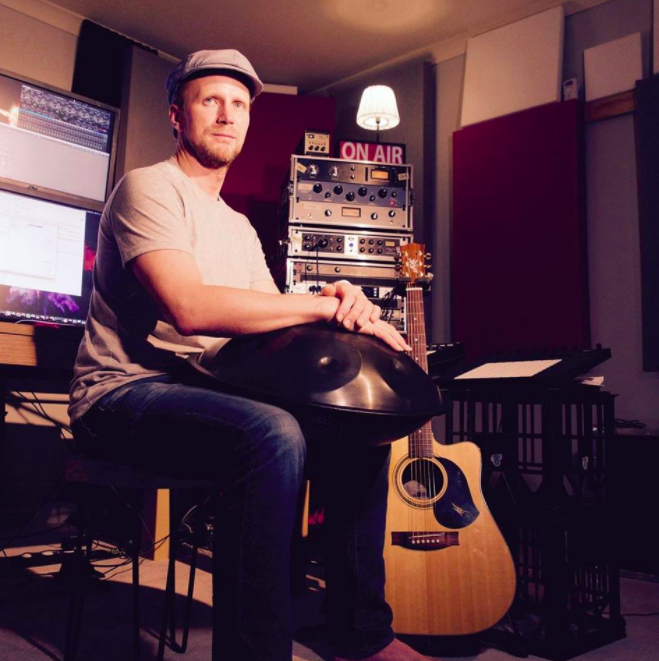 Synchronising deep electronic beats with the organic sounds of live guitar and the mesmerising hand pan. The ebb and flow of hand-crafted music creates a sublime yoga experience. His heavy bass beats are peppered with dynamic percussion rhythms as he lightens the soundscape with delicate melodies and synth pads to create an ethereal layer of space. His music greatly enhances your yoga experience and brings a magic that lasts all the way through to savasana! Includes spot prizes and giveaways, Christmas sweet treat and coconut water.